Taking the risk and fear out of searching for your home. One of the biggest dilemmas when searching for a home is deciding who to hire. Far too often we hear about sellers and buyers being “stuck” with a less than competent Realtor who have locked them into long contracts that they no longer want to be in. Hiring the wrong realtor is risky because you may never find your dream home in your timeframe. Most representation agreements can be long-term commitments – but what if your Realtor doesn’t perform as they promised? The Carolina Success Team offers you a way to retain your own representative – that is totally risk-free. 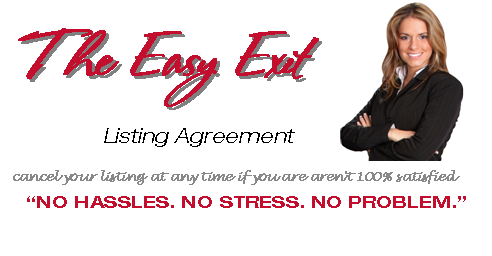 We guarantee that if you aren’t completely satisfied with our professional services or our marketing efforts, then you have the right to cancel our listing or buyers agreement contract by giving 30 days written notice. Your right is to evaluate whether we live up to your expectations and be able to cancel your Representation Agreement at any time should we fail to deliver the services we promised. We have strong opinions about real estate service in general and strive to be the best. We believe that if you are unhappy with the service you receive, you should have the power to fire your agent. That’s the simple truth. We always stand behind our service. Click the link below to contact one of our buyer consultants and set your mind at ease knowing you have the right team for the job guaranteed! And relax, knowing you won’t be locked into a lengthy or binding contract.